The following images are daily activities that occur all around Kerr High School. 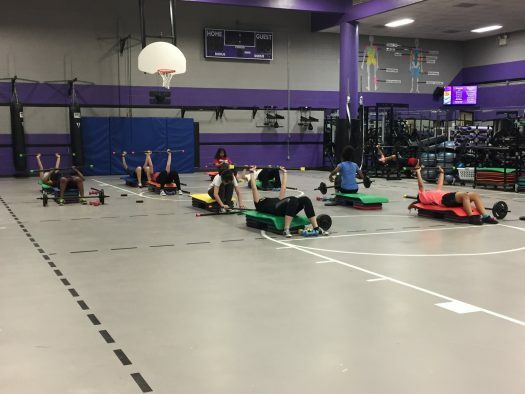 The various activities include classes, clubs, and extra activities during school. 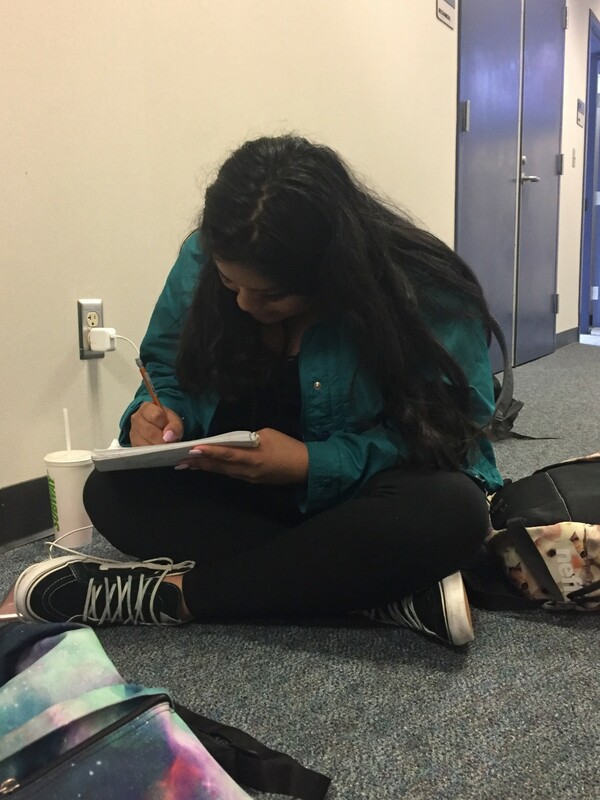 Senior, Ruth Bernardino, was upstairs in the Science hallway working on her Math PAK. 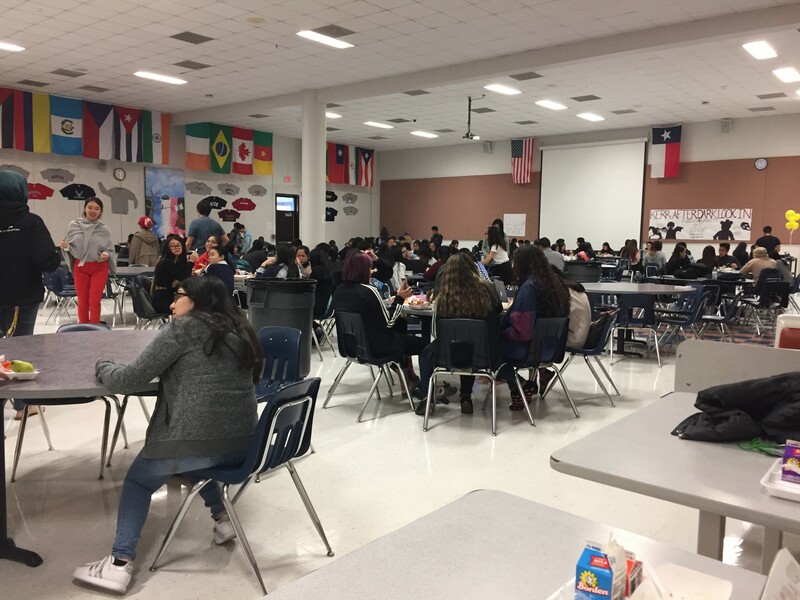 B lunch students sit together in large groups and enjoy their lunch. Various organizations are selling and promoting their purpose. 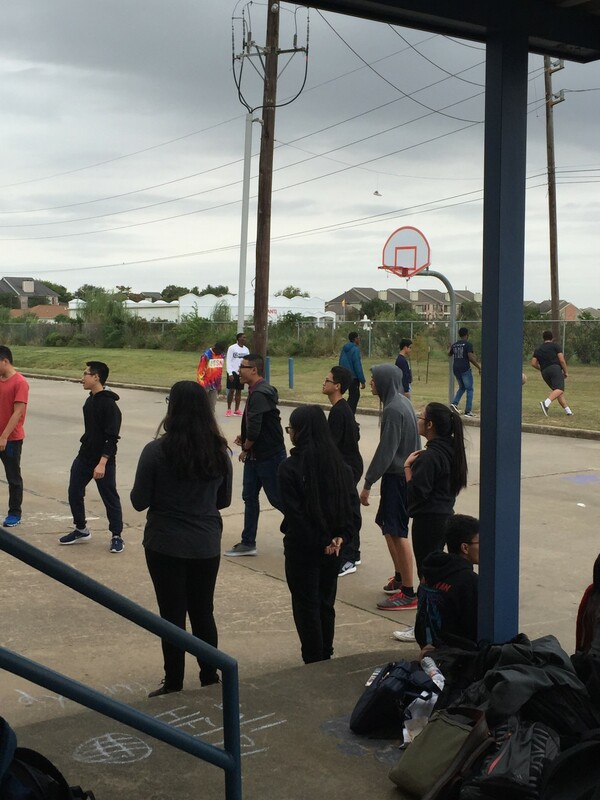 Students during A lunch play basketball and volleyball in their social groups. Several other sports are played outside during lunch. 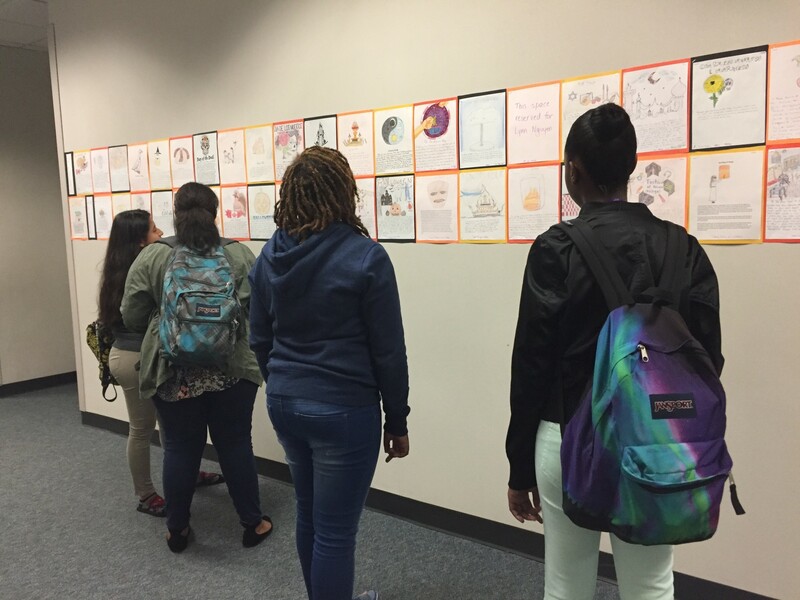 Several Freshman were critiquing each other’s work that is hung up in the Social Studies Center hallway. The hung up work is based on the different Thanksgiving traditions all around the world.